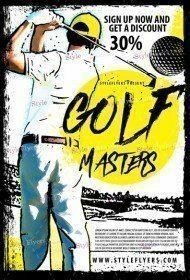 If you’re looking for the best way of golf event online promotion you’re in the right place. In our premium golf flyers templates listing you will find the most exquisite and outstanding samples for your golf events. 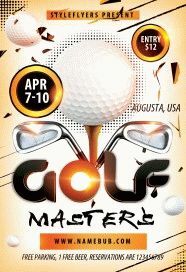 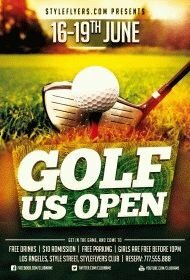 We will help you to promote golf championship or mini golf. 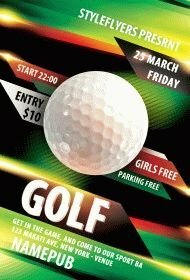 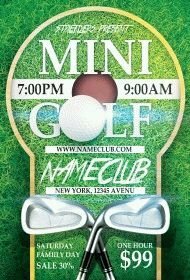 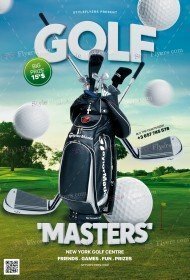 You can buy golf flyer PSD templates and you will be surprised with their high quality and unique design. 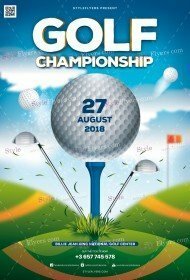 All golf flyers have a unique design and well-organized structure. 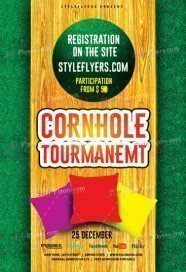 They are fully layered and can be easily customized. 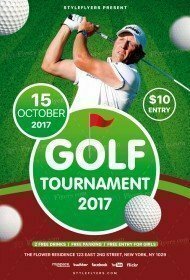 If you buy golf flyer template, you will get a small bonus – free Facebook cover, With it you will get more efficient promotion of your event. 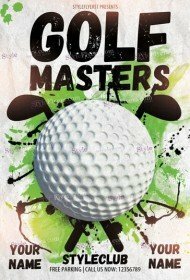 If you didn’t find printable Photoshop files to your liking, don’t be upset! 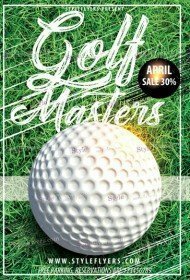 We will add new flyers for sale, so watch our updates. If you don’t want to wait, you can order your own golf flyer! 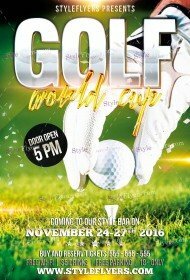 We will make a special flyer that will meet all your requirements. 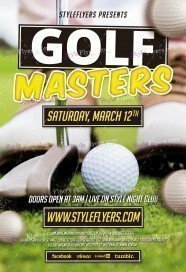 Styleflyers company cares about its clients so we offer only affordable and reasonable prices. We are professionals so each our product is almost a piece of art. 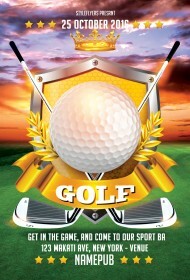 Try one of them and you will become our loyal client. Don’t waste your time, buy your first flyer right now.